a weekday lunch at a friend’s house is just about the best treat of the week. one of my dear friends is a fantastic cook and a gracious host. 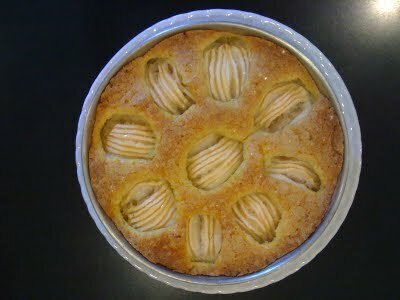 she served this apple cake today and it was so beautiful that i just had to take a picture of it. i am still savoring it and the precious time spent with dear friends in the middle of a work day.